We've heard rumblings of this sort in the past, but now it's pretty hard to ignore. Speaking to Official Xbox Magazine UK, Crystal Dynamics has confirmed that not only is there no sequel in the works for Lara Croft and the Guardian of Light, but nothing further is planned for the sub-series in the future. For a game that had one of the best co-op experiences in the last several years, that's very sad news indeed. 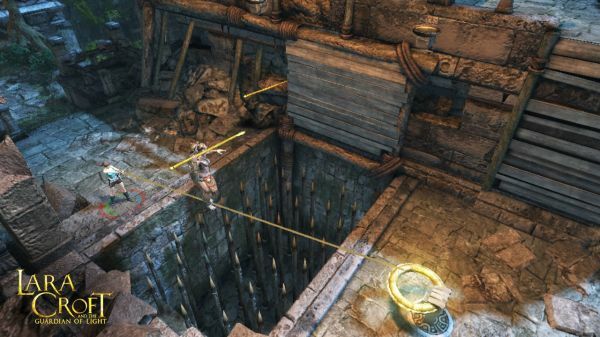 Crystal Dynamics noted that Guardian of Light was a great chance to explore ideas outside of the main Tomb Raider franchise. You know, like one of those phases someone goes through in college. When asked about the possibility of co-op in a future pillar Tomb Raider release, it seems the team is casually exploring the idea. Lara Croft and the Guardian of Light was released in 2010 for Xbox Live Arcade, PlayStation Network, iOS and PC. It supports two player online and local co-op. Page created in 0.3884 seconds.